If your organization has teams that are responsible for managing both the physical server hardware (rack or blade server) lifecycle and the virtual environment, there is a tool that is ideal for you. 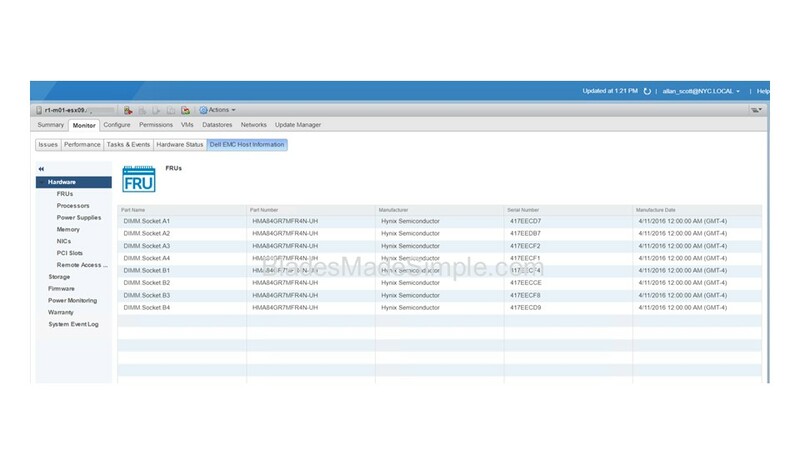 One of Dell EMC’s best kept secrets, OpenManage Integration for VMware vCenter (OMIVV) integrates PowerEdge server systems management capabilities into VMware vCenter providing your users with a single interface to manage server hardware, run firmware updates and even deploy bare metal systems. Not a Dell EMC customer – don’t worry, I’ve got an idea for you. As I talk with datacenter admins, one of the most requested things is the elusive “single pane of glass.” Every vendor promises it, but no one can (really) deliver. 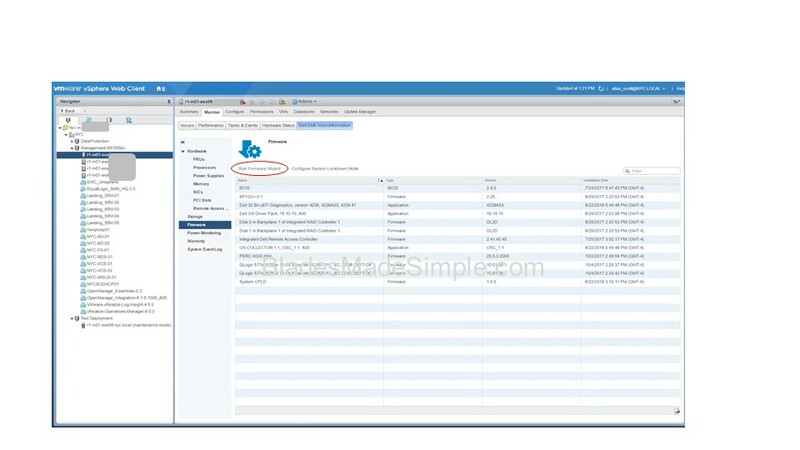 However, Dell EMC comes close with OpenManage Integration for VMware vCenter (OMIVV) – an add-in to VMware vCenter that provides Dell EMC’s integrated Dell Remote Access Controller (iDRAC) communication into vCenter. This provides VM admins the ability to view Dell EMC PowerEdge server health information and other details, like warranty information directly inside of the host page within vCenter (image below, right side columns). This tool has been around for several years and is well-seasoned. Yes, it even supports vSAN. 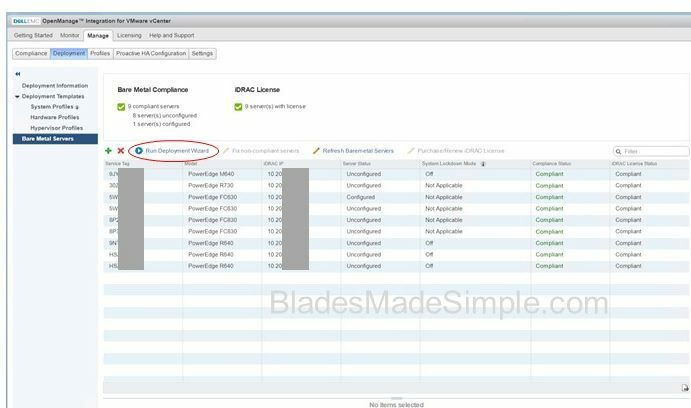 I’ve had non Dell EMC customers ask to do a Proof of Concept (POC) with Dell EMC PowerEdge servers just so they can try out this tool, so I encourage you to keep reading. OMIVV also provides detailed inventory of the server components. 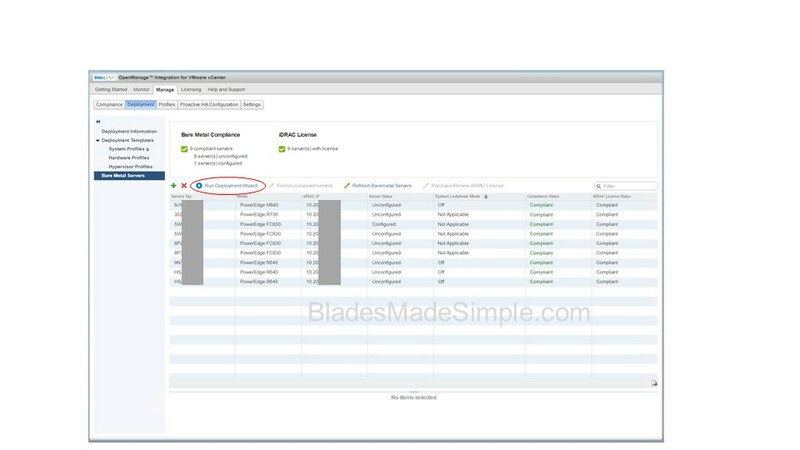 In the image below is an example that shows the detailed listing of the memory within the vSphere host including serial numbers of the memory. Health and inventory is nice to have, but most admins care about keeping servers updated with current firmware. This is where OMIVV shines. An integrated wizard walks users through the process of updating PowerEdge firmware. Once the wizard is kicked off, VM admins simply select the servers to be updated then pick the proper catalog containing the current firmware updates. At the last selection screen, admins choose which, if any, components need to be updated and if it requires a reboot. Note – this image shows all components are current so no updates are required. This last piece is the best part. 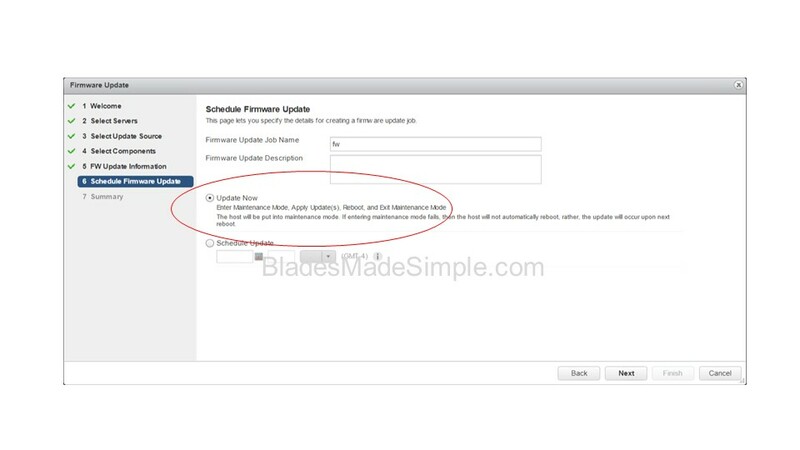 Because the firmware tool is integrated into vCenter it knows it’s a vSphere host so when its time to deploy the update you have an option to run in maintenance mode – allowing the virtual machines to vMotion off the host getting firmware updates. Once the updates are completed, the VMs are returned and the server is returned to service. This allows admins to do PowerEdge firmware updates during the day without impacting production workloads. Of course, if that’s too risky, there is an option to schedule the updates for a different time like the typical maintenance window. 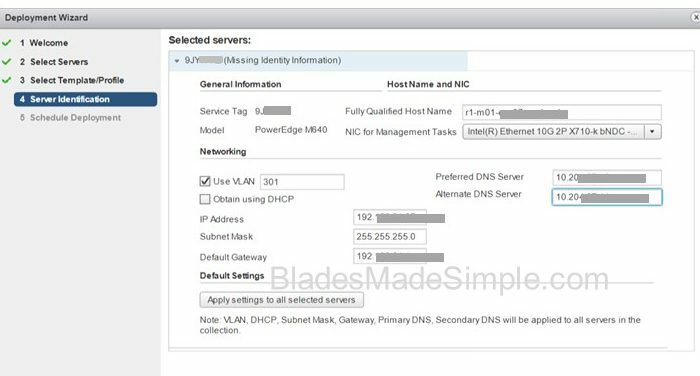 OMIVV also offers the ability to take a bare metal server, add the hardware characteristics required (like BIOS settings, NIC settings, etc) then add it to a VMware ISO and deploy into the farm. This process drastically reduces deployment time since it handles both the hardware and virtualization configuration at once. Bare metal deployment kicks with a “Deployment Wizard” as shown below. The first image below shows the selection process of choosing the servers that are unused and eligible to be bare metal deployed and the second image shows some of the unique server information required before deployment. Screen shots do not do this tool justice, so here’s what I recommend. Go to http://marketing.dell.com/software-download and download a 90-day, 5 host evaluation. Play with it and see how it works for your environment. Need help? Check out this YouTube site: http://www.youtube.com/watch?v=rNgiY-3RExY or go to http://bit.ly/OM-vCenter for a comprehensive page of resources. Hunt down the Dell EMC team that calls into your account. 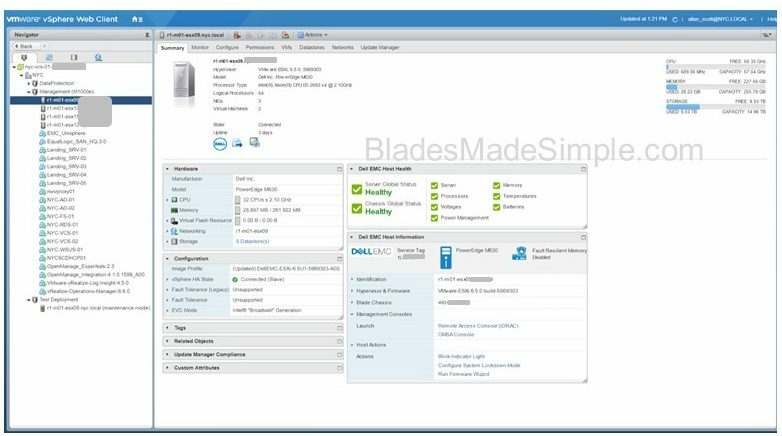 Even if you aren’t currently a Dell EMC customer – find them because they will be able to work with you and give you a live demo of this tool to help you realize how it can help you manage both servers and VMs inside of one window. Once you see it in action, you’ll want to try it out, so ask your sales team about doing a POC with Dell EMC PowerEdge servers and OMIVV. I want to send out a special thanks to Allan Scott from one of the Dell EMC Customer Solution Centers for helping provide the screen shots provided above. (He’s one of the resources that can help demo OMIVV as a next step.) If you have any questions about this tool, let me know by asking in the comments below and I’ll try to answer them as quickly as possible.